signage rights. Exposure to Laver Drive is high, with 9,528 vehicles passing daily (TDC, 2015). 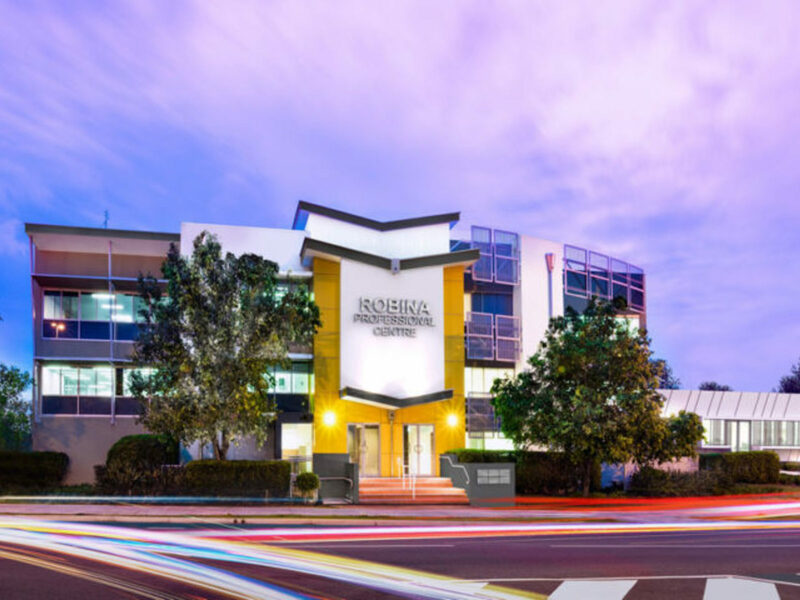 The property is walking distance to Robina Town Centre, Robina’s train station & transport hub, and Robina's burgeoning medical precinct including Robina Hospital, Robina Private Hospital and Queensland Health's Robina Health Precinct. It is just 1 kilometre to the Pacific Motorway, providing a direct link to Brisbane (50 minutes) and Gold Coast Airport (15 minutes). PRO Commercial has not personally confirmed the property information we pass on. We give no guarantee as to the accuracy of this information. Prospective purchasers and lessees should rely on their own enquiries and should satisfy themselves as to the truth or accuracy of all information given by their own inspections, searches, advices or as is otherwise necessary. No duty of care is assumed by PRO Commercial toward the purchasers and lessees with regard to the use of this information and all information given is given without responsibility.